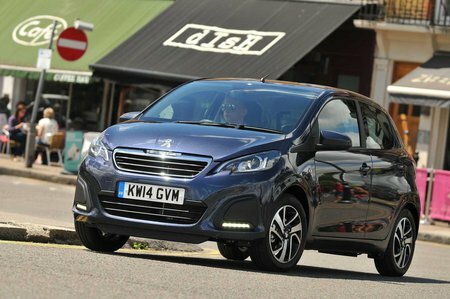 Peugeot 108 Running Costs, MPG, Economy, Reliability, Safety | What Car? The 108 looks competitively priced, and it even manages to be cheaper the own than the Toyota Aygo, with which it shares many parts. Running a 108 should be a painless experience, too. No model in the range emits more than 99g/km of CO2, meaning free road tax across the board. The 1.0-litre petrol engine performed particularly well in our True MPG tests for real-world fuel economy, achieving an impressive 54mpg. Company car drivers will also benefit from these low prices and low CO2 emissions, because the 108 is seriously cheap to run. Even an equivalent Skoda Citigo Greentech is very slightly more expensive every month. 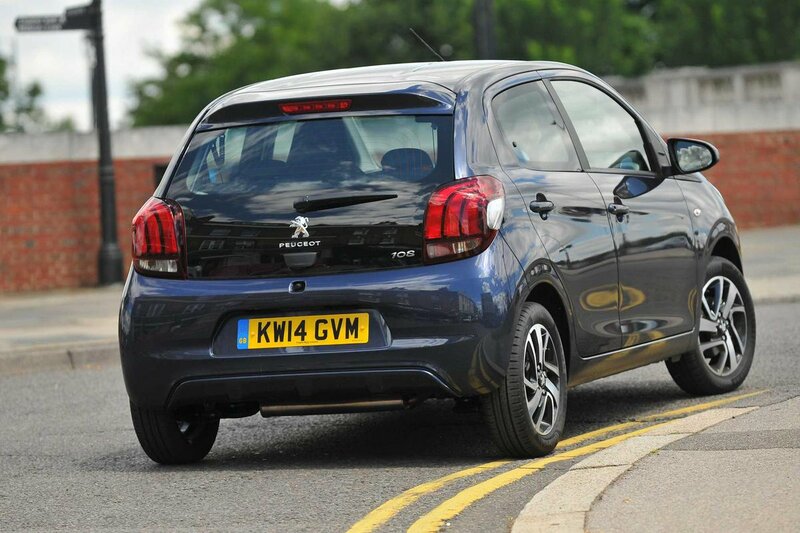 Most 108s are bought on PCP finance, though, and Peugeot has some attractive deals that put it near the top of the cheapest city cars to buy on a PCP deal. Peugeot says the most popular spec is the mid-range Active model, which comes with a plastic steering wheel and gearknob, and no rev-counter (it’s a £40 option) but does have electric front windows, that neat touchscreen, manual air-conditioning, and 15in steel wheels. We reckon it’s probably the best mix of equipment and value. Splash out a little more for the Allure and you get quite a few gadgets, while range-topping Feline brings climate control and leather upholstery, but at a price that’s hard to justify. It’s too new to have featured in either our latest reliability survey or the latest customer satisfaction survey. However, Peugeot performed strongly in both cases, placing above average overall in the latest reliability survey and around mid-table for reliability in the latest satisfaction data. All vehicles first registered in the UK and purchased from a UK Peugeot Dealer benefit from a Peugeot two-year unlimited-mileage manufacturer’s warranty and a free optional additional year of warranty provided by Peugeot dealers; this is respectable but no match for the five-year standard warranty offered on the Hyundai i10. On top of this, all new Peugeots also come with a year of breakdown cover. The 108 received four stars out of a maximum five in its Euro NCAP crash test, scoring 80% for both adult and child occupant protection; those figures are almost a perfect match for the scores posted by the Hyundai i10. 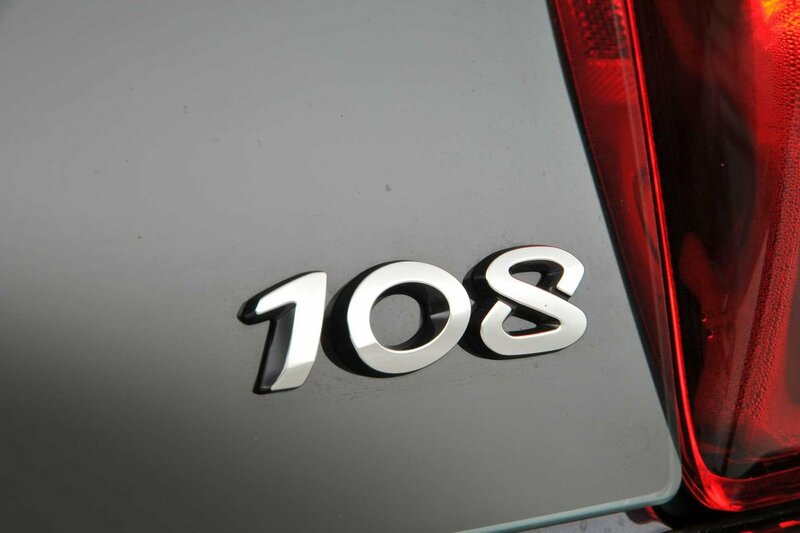 Every 108 gets six airbags, hill-start control, tyre-pressure monitoring, ESP and a speed limiter (on manual models). It also has ISOfix anchoring points, and Allure trim and above gets automatic headlights. All versions get remote central locking, a steering column lock and an immobiliser. Even so, security firm Thatcham has rated the 108 poorly in its resistance to being broken into, awarding it two stars out of a possible five. Its resistance to being driven away is better, though – it scored four.